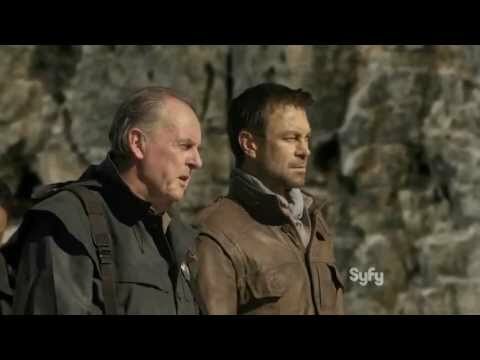 I've watched the first dozen episodes of this SyFy series, and even though the stories are enjoyable, I'm very puzzled by the way the pilot seems more like the first episode of season two than season one! All the scenes of the alien starships arriving and the armies of alien soldiers inside the ships which are shown in promos and some of the episode openings have not yet been part of any extended flashbacks which show the interesting backstory for the series and all those events shown in the promotional scenes. Furthermore, the Wikipedia plot description tells a very complex story that goes back years before the series starts, and I haven't figured out yet how anybody who watches the series is supposed to know any of that info without reading it somewhere! If you've watched this series and can provide me a bit of explanation for these odd aspects of the show, I'd greatly appreciate it. I finished season 1, and I've started season 2. Like many series these days, each season has about ten episodes (season 1 had eight, and seasons 2 and 3 both have has 13). That's a total of 34 episodes. So, the whole series has fewer episodes than any of the five seasons of The Lone Ranger from the 1950s, several of which has over fifty episodes! I know, the comparison is entirely unfair, but it certainly illustrates the way television has changed in the last fifty years. Back the Old Days, Hollywood cranked out a plethora of inexpensive shows to keep an impatient audience glued to their TVs every night. Today we have TV series from sources like Netflix and studios in Canada who spend millions on each episode and market their productions in all the ways the new technology has to offer! 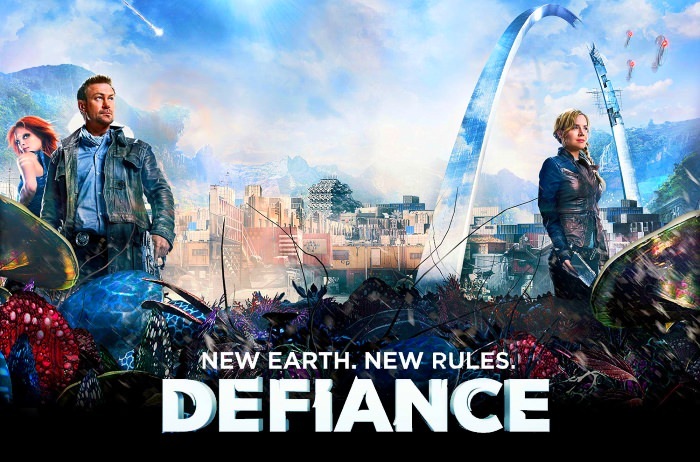 Viewers like me can be completely unaware of a series like Defiance until it has come and gone, and then enjoy every episode from a variety of sources! I'm hoping that Defiance will continue to entertain me as I watch seasons 2 and 3. Meanwhile, where are the other fans of this series who don't seem to have noticed this thread on All Sci-Fi? Hey, what am I? Chopped liver? Wow, season 2 ended by killing off a major character, and season 3 began by killing off three more! Did the producers already know the series was being cancelled so they just used bullet's instead of pink slips to "fire" people?